Prescom​ has been selected by the French Ministry of Interior to supply its MCPTT-PMR gateway under the French state procurement tender for equipment and services, PCSTORM – Lot 5 “Gateway to narrowband systems”. The PCSTORM public safety broadband project will provide SWAT teams with resilient broadband radio communications using tactical networks. Prescom claims that its MCPTT-PMR gateways will ensure continuity of voice and data services between users of narrowband networks and those equipped with PCSTORM solutions, and will allow the Ministry to enable interoperability between a variety of heterogenous networks for all French national security forces. Prescom’s gateway can operate in both tactical and network modes. 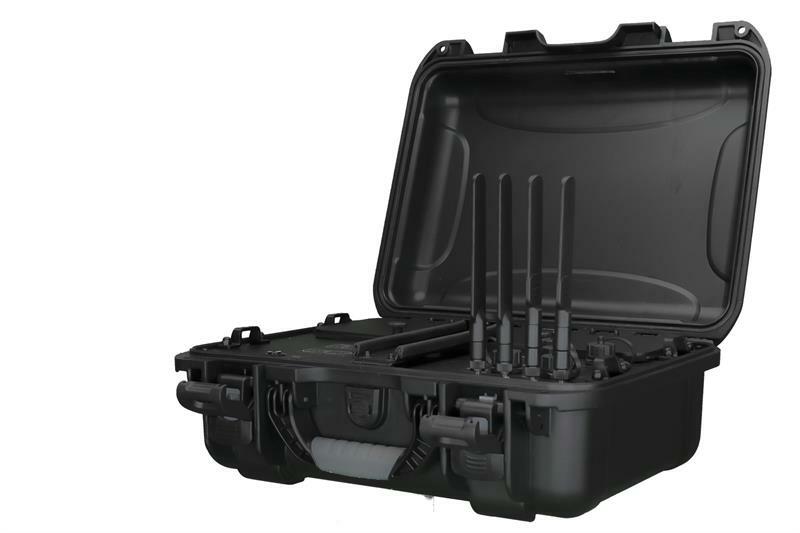 When working in tactical mode, the gateway is connected to an isolated bubble of radio coverage based on legacy PMR technologies and will be integrated into a suitcase for rapid incident response or a rack case for planned events. The same software is used for either mode, making it simpler for end users. A member of TCCA, Prescom is a French company that specialises in providing what it claims to be highly resilient dispatch centres for control rooms, along with gateways all over the world. Orange, the French mobile network operator will provide the radio access network (RAN) for the PCSTORM project with priority and pre-emption and ensure that other French commercial mobile networks can be used as a back-up. Streamwide was awarded the lot four applications and security contract in June 2018 and will provide its Team On Mission MCPTT solution; it participated in the second ETSI MCPTT Plugtests event in Texas last year. Gemalto will provide the SIM cards for the devices. Back in 2017, Prescom and Streamwide announced that they had jointly demonstrated the interoperability of narrowband PMR networks of TETRAPOL, TETRA and P25 technologies with LTE MCPTT broadband services, based on an operational scenario of a terrorist attack in a large railway station. It was based on Prescom’s PMR LTE gateways and Streamwide’s Team On Mission MCPTT solution.